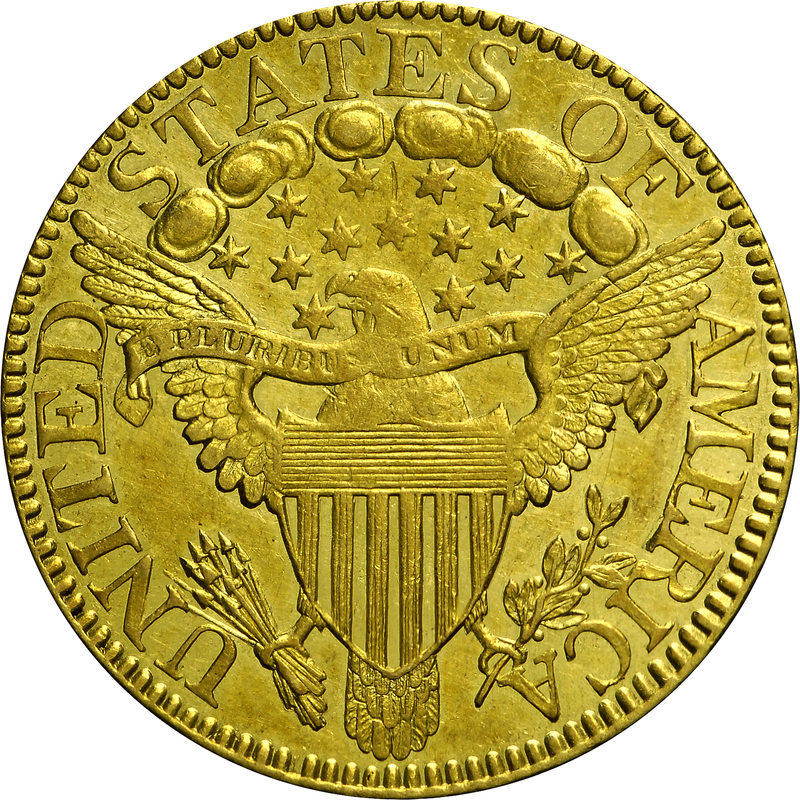 Three 1806 half eagles from the Bass Collection, including this example, HBCC-3098, and HBCC-3102 are all from the same obverse die. This die does not match any of the obverse dies described by Walter Breen. 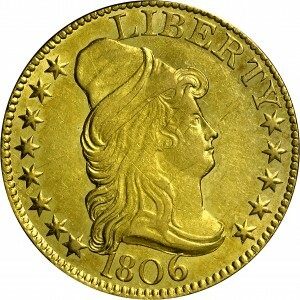 This obverse has T in LIBERTY defective and most closely resembles Breen’s obverse 3, although the digit 1 is buried in the curl, unlike the Breen description. 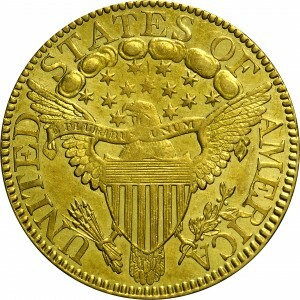 These three half eagles also have the same reverse die, and thus are the same die variety. 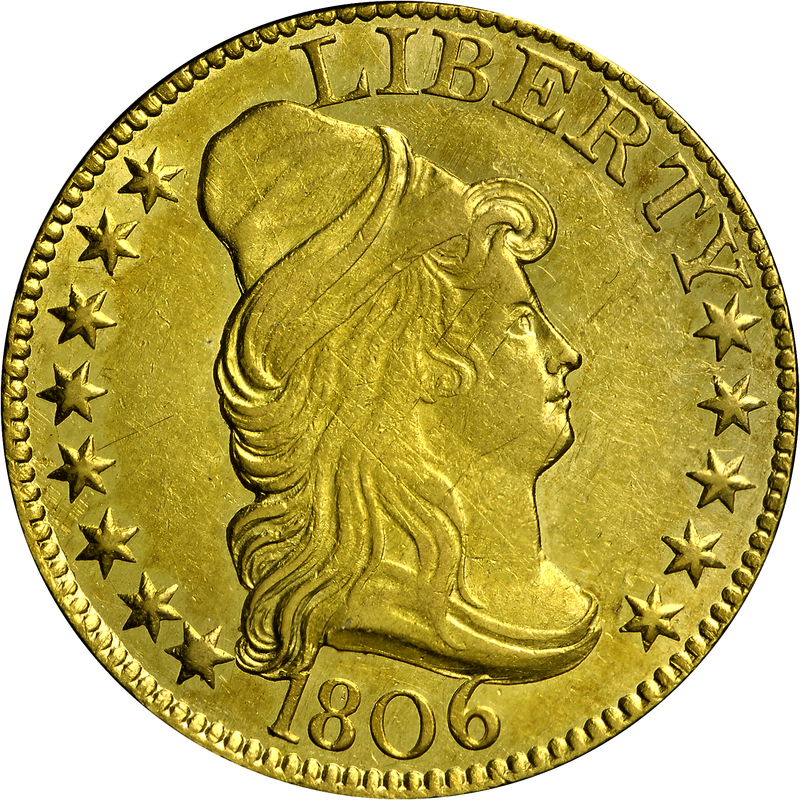 Due to the confusion in 1806 half eagle varieties, these three coins have been given different variety designations in the Bass inventory. From Quality Sales Corporation's sale of the John A. Beck Collection, Part I, January 1975, Lot 357. "Obverse: Close date with top of broken 1 imbedded in curl. Tip of 6 overlies drapery. 0 leans to left! Large letters LIBERTY, T without bottom left serif. Vertical crack in hat. Reverse: Large letters, except for A's in AMERICA."